There was double delight on the soccer pitch as two Kilkenny schools tasted victory in crunch matches on Thursday. The girls from the Presentation Secondary School were crowned the queens of Leinster, but only after holding their nerve. 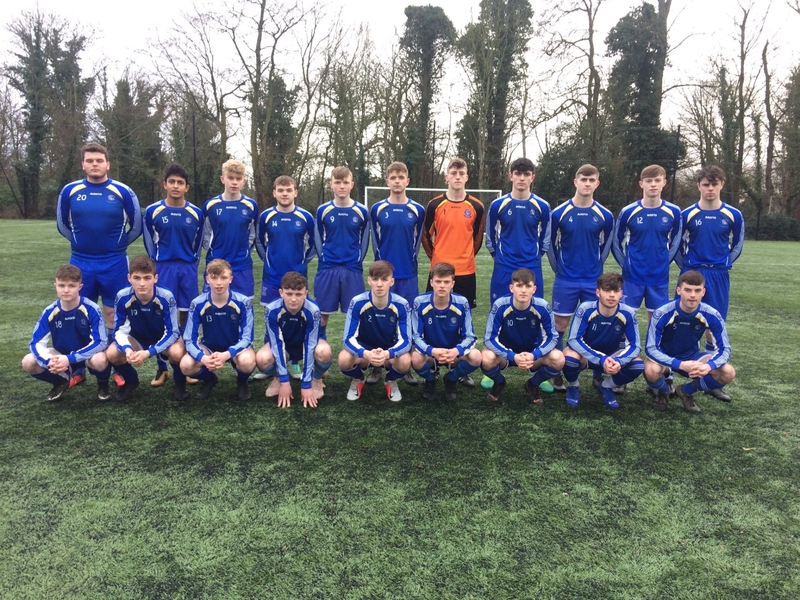 The under-17 side were sent all the way to extra-time in their provincial battle with Longford’s Moyne Community School, but came through with a 2-1 win. Goals from Freya de Mange and Ellen Molloy made sure the Cats, who were captained by Hannah Clifford, brought the title home. It was a good day also for Thomastown’s Grennan College as they moved one step closer to another national title. Fresh from their Leinster success - a comeback win over Rockbrook - the College continued their hunt for the national under-19 title when they saw off Colaiste Mhuire Buttevant 7-2 in the John Murphy Cup semi-final in Cahir. In an explosive game the Cork side took an early lead through Paddy Behan, but Colm Whelan levelled matters with a fine solo goal. They went ahead before half-time, Jack Holden heading home, but Buttevant restored parity with a blistering Zack Mannas strike before the break. At that stage it seemed nothing would separate the sides, but Grennan delivered an explosive second half performance to storm into the final. Colm Whelan netted his second on the hour, thanks to some good work from Jack Barcoe, before Whelan completed his hat-trick eight minutes later. Grennan were on a roll and didn’t let up. Jack Barcoe made it 5-2, before Whelan bagged his fourth. Tommy Carolan’s late goal heaped more misery on the Munster men, earning the College another national cup final appearance. They will play Foxford in the decider on Wednesday week.